How to Set Up a Simple Home Management Binder You Will Use! 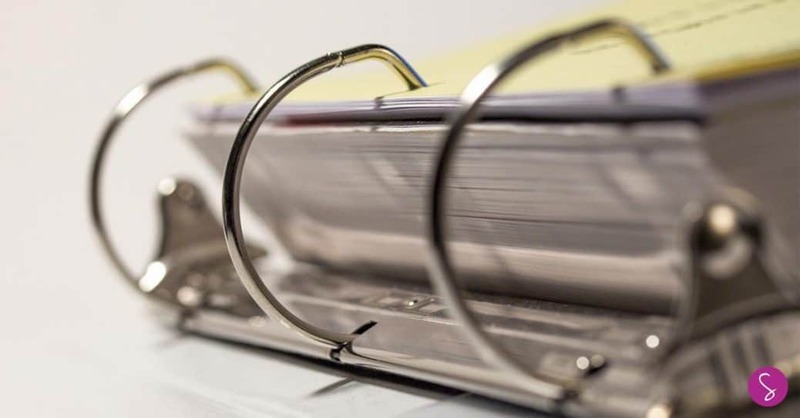 Home > Life Hacks > How to Set Up a Simple Home Management Binder You Will Actually Use! I’ve never been a particularly organised person, ask my mom or my hubby and they’ll both tell you I have a love of piles. You know, piles of paperwork, magazines, post on various surfaces of the house that all need me to take some sort of action. When I was pregnant I decided things needed to change, and I spent hours browsing Pinterest looking at beautiful Home Management Binders and decided that was just what I needed. So I sat on the sofa with my ever growing bump and I sorted through my piles, filing the paperwork I wanted to keep in ring binders and then making lists of actions, and important contact information and bank account details on beautiful printables that other mamas had created and given away for free. A year on, when the piles had once again become unmanageable and my double baby brain left me even more forgetful and disorganised I went back to Pinterest looking for more inspiration. And there they were again, trying to lure me back in, beautiful free printables and mamas talking about how they manage their homes with their wonderful Home Management Binders. But this time I put my foot down and refused to waste any more printer ink. You see the thing is, I’m just not a paper and pen kind of gal. My thoughts flow best when my fingers are tapping on a keyboard. But more than that what I really wanted from a Home Management Binder was something I could access any time anywhere, and I just don’t have time to be sitting down each week transferring appointments and notes from a main binder to a pocket notebook or organiser. What I needed was a Digital Home Management Binder. I want to be able to access my task list when I’m out shopping, or my appointments list when I’m trying to organise a meet up with friends at the park, or access to my favourite recipes if I’m at my mom’s and she wants me to whip something up for dessert. And that’s when the lightbulb went off and I realised the answer was… Evernote. I can access Evernote on my computer, my smartphone and my tablet. Anything I add on one device is automagically synced to all the others. I can add information to it by typing, taking a photo, importing a scanned document or even taking a clipping from a web page. And it has intelligent search built in. So I don’t even need to remember where in Evernote I filed something because I can type in the name of what I’m looking for and it will go and find it for me. I’ve been using Evernote as my Digital Home Management Binder for a few months now and it is really working for me. So I thought it was time I shared it with you. If you don’t have one already take a minute now to hop on over to Evernote and sign up for a free account, that way you’ll be able to follow along with the steps below. There is a premium version that has some extra bells and whistles but for now just get a free account, once you’re happy that Evernote is right for you then you can think about upgrading. Once you’ve signed up for an account you need to download the apps for your computer and your phone or tablet, and you’ll also need to install the Evernote Web Clipper. You can access these from the Evernote Products page. Think of Evernote as a massive filing cabinet, everything that comes into your home, be it in paper or electronic form, will now be stored in this filing cabinet. So when you need something you only have one place to look. When you go into your Evernote account for the first time (preferably using the desktop software rather than the website) you will see a notebook called ‘your username’s’ notebook. This is the default notebook where things will be saved if you don’t specify a different one. Right click on the notebook, choose ‘rename’ from the options list and then type !inbox. The exclamation mark will make sure it stays at the top of the list of notebooks you go not to create. Now you can go ahead and create your notebooks. I personally have four notebooks besides my inbox and each of them are what I refer to as Filing Cabinets. All of the information I use to run my home is stored in a notebook called Cabinet. Everything I need to run my blog is in a notebook called BusCabinet. I then have a notebook called TotSchool which is where I store information about educating my kiddos. Finally I have a notebook called Timeline which is the electronic journal that I have shared with you previously. If you just want to use Evernote to manage your home then you just need one notebook, called Cabinet, or something similar. 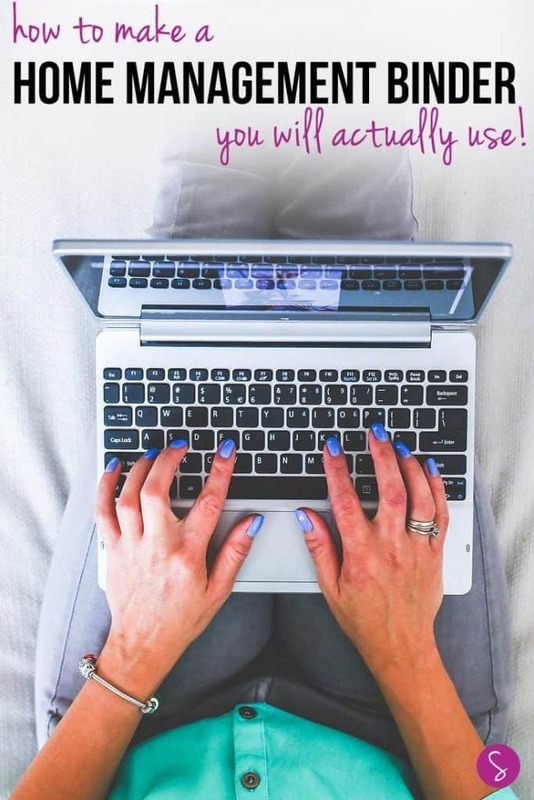 If Evernote changes your life as much as it has mine then you might want to add another for your homeschooling, or your blog, or your church activities. You will notice that my notebooks are combined under the heading of Filing Cabinet. This is called a Stack. All notes in Evernote are stored in a Notebook and then you can combine Notebooks into a stack. If you compare this to a paper based system a note would be a piece of paper stored in a file or a binder (the Notebook) which sits in a drawer or on a shelf (the Stack). Tags are another way to organise the information in Evernote. When you start out you might feel like you need to tag everything so you can find it again, but it’s really not necessary because Evernote’s search facility is brilliant. Ideas – I use this tag if I see something on Pinterest or elsewhere online and it’s something I’d like to try later. It might be a review for a book or an idea for a kid’s activity or day out. I also have a tag for each member of my family which I use mainly for my Timeline journal. This allows me to view all the entries for Miss E or for Master J if I wanted to just see what I’d documented about them as individuals within the overall journal. Tags are a useful way of dissecting the information in your notebooks and I like them because they can allow you to find information across different notebooks. So for example I have notes in my Timeline notebook that are tagged with the children’s names, but I also have notes in the Cabinet, for example for medical appointments. I can see all notes relating to Master J by selecting his tag, or I can select the tag and the Timeline journal to only see entries from that journal that are tagged with his name. 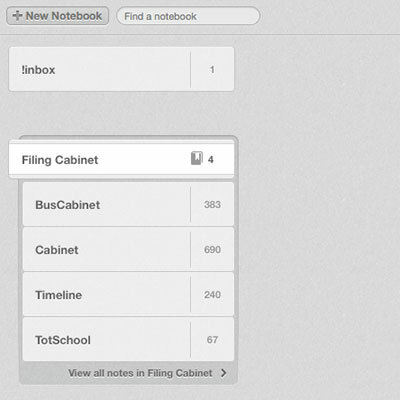 Now you have a notebook and some tags in place you can create your first note. Let’s start with creating a daily checklist. This is something I use to keep track of things that I need to do each and every day, so that I don’t forget anything. See the button at the top of your screen that says New Note in !inbox? There’s a little arrow next to it, and if you click that it will let you make a note in one of your other notebooks instead. Change the title from Untitled Note to something more descriptive, like Daily Checklist and add the Daily tag. Now you can create your checklist by just typing in the box. You can add check boxes by clicking on the little box with a check in it on the toolbar, this way as you complete your tasks during the day you can check them off. I separate my list into Morning, Afternoon and Evening and include things like getting something out of the freezer for dinner, putting the washing on and laying out the kid’s clothes for bedtime. I include all the things that sound so simple but I know I will forget to do if the house gets too chaotic during the day. 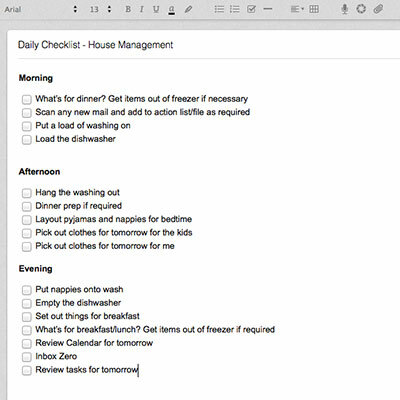 Throughout the day I then open up this checklist in Evernote, either on my phone or my computer and see what else I need to do to keep the house running ship shape! At the end of the day I uncheck all of the boxes so I can use it again tomorrow. One of the things you might have on your daily checklist is dealing with things that come in the mail, from now on rather than making a pile of paper on the counter you can file them away in Evernote, and then shred the paper. Let’s say you receive a copy of your credit card statement in the mail. To store this in your filing cabinet you’re going to need to scan it. I use this Brother Printer/Scanner and I love it because it connects to my home network over the wifi and I can upload my scans straight into Evernote. Another option is to treat yourself to a Doxie Scanner which is so small you could throw it in your bag and take it out and about with you so you upload scans directly to Evernote. Once you’ve uploaded your document to Evernote you can give it a descriptive title like, AMEX Credit Card Statement May 2016, and then you can do one of two things. If you pay your bill automatically then you can just file it away in your Cabinet notebook. If you need to make a manual payment then you can tag it Tickler and set a reminder using the little clock icon. Tell it the day and the time at which you want to be reminded and Evernote will send you an email reminding you to pay the bill. Once the bill is paid just mark the reminder as done and remove the Tickler tag and the statement will be filed in your cabinet just in case you ever need it again. Another example of information you might want to file away in Evernote is the instruction manuals for your DVD player or your kid’s toys. Most of these manuals are pages and pages long so instead of scanning them go to the manufacturer’s website and look for a PDF version of the manual. You can then use the Evernote Web Clipper to save the PDF to Evernote. Every time we bring something new into our home that has an instruction book I go online and download the PDF version to my Evernote filing cabinet. I also set aside some time each week to go through our paper instruction booklets and look for the online versions to replace them. I know some people use Evernote as their task list, and I did try for a while, but while Evernote is AMAZING for storing and retrieving information, it’s clunky as a task list. So right now I’m using a paper and pen method based on the Bullet Journal, which I am finding to be much more efficient and effective. ~Clare – currently pinning to Homemaking Tips. Click here to follow our Homemaking Tips board over on Pinterest.